Calhoun Christmas Tree | Just Shooting Memories! Downtown Calhoun Georgia is not a very big place. In fact, if you blink, you may miss it. I have driven through several times, and each time, I notice something I did not the time before. 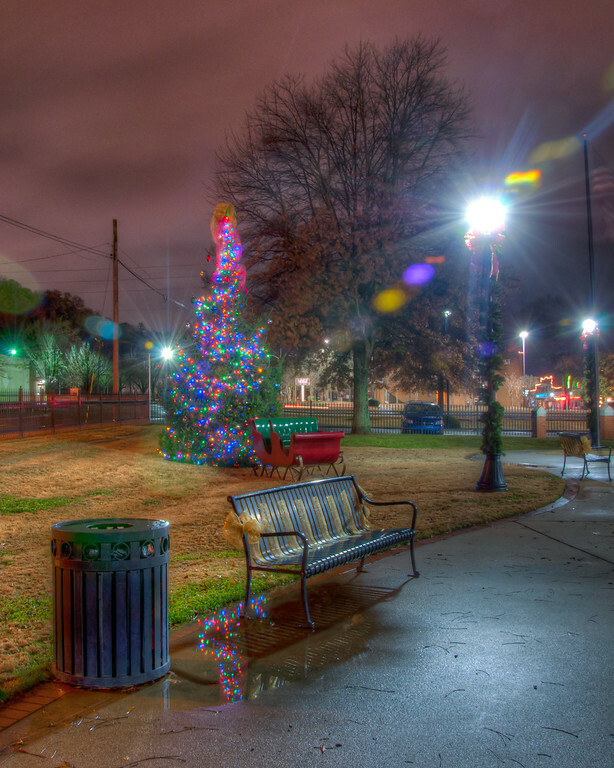 This shot was of the Christmas Tree in the small park on the north side of town. The park was not very large, maybe an acre and a half, but packed full of good compositions with the Christmas lights. It had been raining most of the day and there were several puddles around. Fortunately, this one was in just the right spot.